Dyslexia is a specific learning difficulty which can make processing written texts very challenging. However, you may think that dyslexia only involves difficulties with reading, but the Dyslexia Association states that it is part of a family of Specific Learning Difficulties (SpLDs) including dyspraxia, dyscalculia and dysgraphia. People with dyslexia can therefore struggle with memory, organisation and time management. They also may be less able to cope with busy and chaotic environments (sensory distraction) as they cannot ‘screen out’ background noise (sensory overload). However, whilst dyslexia does not only involve struggles with reading, it is true that dyslexics find it difficult to manipulate phonemes, the building blocks of language (known as phonemic awareness). This can make it difficult for them to understand how sounds merge to form words, leading to problems when learning to read and spell. Rates of dyslexia vary according to country, and the way sounds are transcribed in a language can affect levels of dyslexia across the population. English-speaking countries have statistically higher incidences of dyslexia, as there are simply so many different ways of spelling the same sound – a famous example would be how it is technically possible to spell the word ‘potato’ as ‘ghoughphtheightteau’ given the whimsical nature of English orthography. Without delving too deeply into linguistics, languages such as Spanish, German and Italian are thought to be more ‘dyslexia friendly’ in that they have a higher level of spelling-sound correspondence, whereas languages such as English and French are ‘opaque’; they have a much wider variation of spelling patterns. Nonetheless, the research that suggests this dates from 2001, while a more recent study from 2015 argues that differences across countries have been overstated, with levels of dyslexia across all countries much higher than previously thought. Dyslexia used to be considered very rare in languages with hieroglyphic scripts, such as Japanese or Mandarin, yet as a neurological, heritable condition it occurs in equal rates across populations. Some bloggers have suggested that its perceived ‘rarity’ in Japan is due to cultural silence around the condition, and this may also help to explain lower reported levels in Spain where it is poorly understood. There are also variations in how dyslexia is diagnosed in different countries, which might be why estimates for different countries vary. In Britain, 10% of people have dyslexia, with 4% suffering from a severe form of the condition. Dyslexia is one of the most common types of SpLD. While 10% of the UK population have dyslexia, 5% have dyspraxia and approximately 3 – 6% of people are thought to have some form of dyscalculia. Interestingly, dyslexia often co-occurs with ADHD; 20-40% of children with ADHD also have dyslexia, although there are no definitive answers about why this might be the case. There are some common patterns to look out for if you suspect a child has dyslexia. Nonetheless, the condition manifests in different ways depending on age. Older children in particular may have learned coping mechanisms to mask their difficulties in reading, making dyslexia harder to diagnose. Below are some signs to look out for, from early years to young adulthood. The Yale Center for Dyslexia and Creativity also has a more detailed list of indicators. Ultimately, if you think a child may have dyslexia, it is important to seek a diagnosis, as people with dyslexia will flourish best when given the right support. You could start with a diagnostic test online, although it is also beneficial to see a specialist for a more detailed assessment. If a child is diagnosed with dyslexia, there are now a wide range of apps and software programs that can help them with school and homework, from speech recognition software to scanning pens, capable of reading unfamiliar texts aloud. These can be brilliant tools at your child’s disposal, helping to make extensive written tasks much less daunting. Speech recognition software allows you to dictate ideas directly to a computer, so that they appear as written text. This can be invaluable in helping dyslexic children to express themselves; they often have a sophisticated verbal vocabulary, yet struggle with putting their thoughts on paper. One of the best models on the market is Dragon Naturally Speaking; it enables users to conduct internet searches using voice commands, as well as adapting to the user’s natural vocabulary. Students at the Yale Center for Dyslexia & Creativity found the program very beneficial. You can effectively train the program to respond to your individual voice and manner of speaking, so it can be incredibly helpful for both essay-writing and navigating the internet. Students with dyslexia can find reading long passages particularly arduous, as they often need to decode the passage slowly first before rereading it. This makes reading a laborious process, so text-to-speech software can help with reading Word, PDF files or emails in a natural voice. It can also be used to proof-read homework to check for spelling errors or grammatical mistakes. Some of the programs on the market include ClaroRead (which has the option of reading with coloured overlays) read&write (which involves picture dictionaries to help with comprehension) Kurzweil3000 and Penfriend. Scanning pens, such as the C-Pen Reader, can display definitions of unfamiliar words, as well as reading texts aloud. Dyslexic users can also listen to the pronunciation of words, or even store vocabulary for future use. The pens are also approved by the Joint Council for Qualifications (JCQ) and can be used in exams, allowing students to access questions with ease. With the widespread use of smartphones and tablets, various apps have been developed to help dyslexic users, with many geared especially towards children. Dyslexia Quest, for example, includes interactive games that test learning abilities associated with dyslexia. The app takes the form of a quest based on quick-fire short-term memory tests; the faster you identify a word or number that has flashed across the screen, the better your progress through a range of ‘kingdoms’. Such apps are perfect for younger children with dyslexia as a fun way of honing memory skills. Another fun app for young users is Sound Literacy. This does need to be used with a parent or instructor, as there is no autocorrect function to check for mistakes. Nonetheless, the app’s brilliance lies in how it breaks up words into ‘tiles’ which can be used to manipulate or reorder the graphemes in any word. One app that might prove useful for older learners is Ginger Page, which proofreads as you write to correct any spelling or grammatical mistakes. It also includes tools for rephrasing sentences and giving word definitions, allowing users to produce flawless written work that accurately reflects their thoughts. Grammarly, an online writing assistant and spell-checker, is a similar resource, drawing on feedback from users to ensure a high level of accuracy in replacement spellings. As children with dyslexia can struggle with reading, audiobooks can be an effective tool for improving comprehension of class novels or exam set texts. Google Play Books offers talk-back technology so that dyslexic students can hear pages read aloud. Whispersync is another useful (free) app that gives students the option of turning Kindle books into audio files, which would be perfect for children who are engaged in a story yet struggling with its written format. Children with dyslexia often find lengthy written notes confusing, so mind maps and more visual forms of note-taking can be a useful way to record key information. Mindmeister, for example, allows users to create visual, personalised mind maps that are stored in the cloud, which can also be shared with friends and colleagues. They can be accessed with any device, including smartphones, so could be a fun way for older children to break down their revision without feeling daunted by reams of paper. With the proliferation of different kinds of software available, there are a variety of ways dyslexics can overcome the challenges of reading and writing fluently. One writer has even described how technology has allowed her to ‘cheat’ dyslexia. With the range of new tech on offer as the world shifts to an online culture, it is possible that dyslexics will find the written word increasingly easy to navigate. Whilst the education system still relies heavily on nineteenth century style written exams, the working world has moved on and it seems only a matter of time before classrooms follow suit. Many schools now use i-pads and other tablets as part of their lessons, enabling dyslexic students to modify content through learner-friendly apps or speech recognition. This should reassure parents who are worried about their child’s progress if they struggle to read – given the increasingly screen-based nature of how we consume the written word, the dyslexic’s struggle to decode print may become a thing of the past. One of the most significant challenges faced by dyslexic students is reading fluently. Children with dyslexia often struggle with written text, and this can damage their self-confidence. For dyslexic children, reading each word in a text takes a lot of time and effort, and they may be frustrated by slow progress in comparison to their peers. Victor Widell has even developed a simulation of how dyslexics experience text – it’s a useful tool for parents and teachers to see why a child with dyslexia would feel put off by reading. Thankfully, with more visibility of fantastic dyslexic role models (see our section on Famous Dyslexics for more) and some brilliant books for dyslexic children, there are lots of ways to build a child’s confidence with reading. Children with dyslexia may come to feel that reading is so tricky it is ‘not for them.’ Fortunately, there are now some fantastic YA and children’s titles featuring dyslexic characters. One popular series is Rick Riordan’s Percy Jackson. In the first book, Percy Jackson and the Lightning Thief, twelve-year-old Percy keeps being thrown out of school. Nonetheless, he gains a new sense of self-confidence when he discovers he is no ordinary boy – he is, in fact, a demi-god with some incredible powers. A quirky take on the Greek myths, these books were inspired by Riordan’s son, who has ADHD and dyslexia – they are a brilliant way of giving younger dyslexic readers a confidence boost. Equally, Hank Zipzer: The World’s Greatest Underachiever by Henry Winkler and Lin Oliver is an engaging series following Hank, a young dyslexic boy, based on Winkler’s own experiences at school. The books have now been dramatized as a CBBC series, starring Winkler as Mr Rock, Hank’s favourite teacher. For older readers, Dying to Know You by Aidan Chambers is a teen romance novel featuring a dyslexic boy called Karl. Karl is in love with Fiorella, who asks him to write her a series of letters answering her questions about love. Fearing his struggles with the written word will not impress her, he enlists the help of Fiorella’s favourite author, and they develop an unlikely friendship. A wider range of titles is available here– these could be great as recommended reads for dyslexic children who want to see their reality reflected in what they read. Whether as a parent or teacher of a dyslexic student, you should be aware that dyslexic children can suffer from low self-esteem. Children may come to feel that they lack ability due to their struggles with reading, so it is very important to give children positive feedback and encouragement when they read. If they read aloud, avoid picking up on mistakes or mispronunciations, as this is likely to make them self-conscious. Reward them for their efforts, and acknowledge their bravery and determination in persevering with something they find difficult. Be positive and encourage the child as much as possible. Give them a choice over what they read, and avoid pointing out mistakes. If a child is struggling to read by themselves, try reading aloud to them. Focus less on the written word and more on the story itself – which characters do they like? What do they think might happen? Dyslexic children are often incredibly insightful, and engaging with the story verbally can be a brilliant way of boosting their self-esteem. Older children may enjoy listening to audiobooks on a smartphone – this could be especially useful for covering set texts for exams. Make sure you take time to read to the child, or suggest audiobooks they might enjoy. As our section on ‘Famous Dyslexics’ shows, there are many highly successful people with dyslexia, and some even credit the condition for their creativity. The poet and writer Benjamin Zephaniah has spoken of how not being able to find a word has led him to write in a more fresh and original way. Dav Pilkey, the author of the humorous Captain Underpantsseries, is also dyslexic. Point out these role models to your child or student – use them as examples of how dyslexic people can achieve their dreams. Point out dyslexic role models as examples of all that can be achieved with dyslexia! For younger children, ensure you read to them to make stories fun and engaging. You could even practice using silly voices or actions to bring the story to life. For older children, recommend audiobooks on subjects they are passionate about. Use dyslexic role models as examples of how much they can achieve! If you think a child has dyslexia, they may have shown some of the following symptoms in the table below. How can dyslexic students be supported in the classroom? Dyslexic students can best access support if their needs are identified early, and this often happens in the first years of schooling. Once students have a diagnosis of dyslexia, teachers can give them more targeted support, yet parents may be unsure about how the condition is identified. How is the child assessed? We spoke to Holly Denchfield, a Learning Support teacher who has completed the SpLD (Specific Learning Difficulties) course with OCR, about how children are assessed as needing support. She says that usually concerns are raised by the class teacher; she will then go into class to observe the child and read with them. This is an informal assessment rather than a diagnostic test (which is done through an Educational Psychologist). “I might look at how they decode letters and test high frequency words in their reading and spelling,” she says. Phonological awareness testing is important, and can be done through seeing how the child reads nonsense words, which can highlight any difficulties they have with phonics. At this point, Holly draws up an IEP (Individual Education Plan) for the child, which is used as a working document to set targets in spelling and reading. Both independent and state schools use IEPs to monitor progress through termly assessments. What teaching styles best support dyslexic students? Holly notes that dyslexic children often have working memory or processing difficulties, although this varies for each child. In support lessons, she says the learning must be “as multi-sensory as possible” to embed phonological awareness in the child’s long-term memory. Traditional teaching styles can be especially difficult for dyslexic students. A vast amount of notes written on the board will be hard to process, as will lots of ‘teacher talk’, as dyslexic students struggle with auditory memory, so lengthy dialogue from the teacher can be problematic. However, most schools now incorporate creative, hands-on strategies in class to support all learners. How fast should the pace of learning be? A wider variety of teaching approaches can be found here. What support can be given at home? Parents are very keen to help, and can use homework activities to reinforce learning at school. However, they must understand that the pace of retention may not be a quick process; this is especially true for children at independent schools where learning tends to be pitched one year beyond the state sector. Dyslexic children also often have associated difficulties with concentration and personal organisation, so parents can support them in helping them to collect what they need for the next day, as well as helping them to file papers and tests in order. For older children, assistance with study skills may be especially important – parents or tutors could work with the child to develop a structured revision plan. They might also show the child how to use mind-maps and other visual revision aids, which will be more helpful and digestible than lengthy note-taking. One useful programme recommended by Holly is Nessy, which is a specialist app that includes syllable games and assessments to support reading confidence. Children are given a character and different word patterns to focus on, so it makes phonics practice fun and more memorable. Educational psychologists also recommend that older children with dyslexia use laptops. They can follow the Touch-type Read & Spell (TTRS) programme which incorporates spelling practice into learning to touch-type. For children studying for official exams, this is especially useful, as alternative requirements are only accepted by exam boards if they follow the student’s ‘usual way of working’; it is important that dyslexic students use a lap-top in ordinary lessons if they wish to access one in exam conditions. Lessons and support strategies also need to support children’s confidence. Teachers now receive training on differentiation for dyslexic pupils, and have a much better understanding of how to support children with learning difficulties than they did in the past. Nonetheless, dyslexic children can feel less confident in their abilities, which is why early intervention and support is so crucial. Many dyslexics are highly successful in their field, which some attribute to their gifts in lateral, creative thinking. The charity Made by Dyslexia suggests that most education systems are not designed for dyslexic thought processes, as they “typically measure success by how accurately students regurgitate facts in an exam or test.” However, developments in neuroscience have recently revealed that differences in dyslexic brains, such as longer connections between certain neural networks, allow dyslexics to excel in “seeing the bigger picture.” Below are some examples of famous dyslexics, and how they see the condition as having helped them to succeed and achieve their dreams. Known for his cheeky-chappie demeanour and accessible recipes, Jamie Oliver is a highly successful TV chef who has published several best-selling cookbooks. He has also campaigned for healthier school meals through his 2005 “Feed Me Better” campaign, as well as founding the Fifteen restaurants, which employ and train disadvantaged young adults in the restaurant business. He says he was happy at school but did not achieve academically owing to a lack of support for his dyslexia. “There are different types of intelligence – everyone has the ability to be brilliant,” he says. He has criticised the rigidity of traditional education systems, arguing that young people should be encouraged to believe they “could be good at something very simple, and turn it into a life’s work,” rather than have their potential measured solely by formal exams. He says he sees problems differently because of his dyslexia, and credits the condition for his success. The award-winning director Steven Spielberg was diagnosed with dyslexia in later life at the age of 60 – at school, he was simply viewed as a “slow reader.” He was bullied by his peers and describes feeling too embarrassed to read in front of the class, but has said that making films was a form of escapism for him, as “movies made me feel inside my own skillset,” in an interview with the website Friends of Quinn. Whilst he reads slowly because of his dyslexia, he says this gives him better comprehension skills: “I retain almost everything I read. I don’t just skip over things, and I’m able to savour really good writing, because I really take my time going through a book or a script.” Although he dropped out of college to become a director, he went back to graduate from California State University in 2002, partly to demonstrate to his children that education is a life-long process. Best known for playing “The Fonz” in 80s sitcom Happy Days, the actor Henry Winkler has spoken extensively about his experiences with dyslexia. He has said that he found reading so difficult as a young actor that “I learned to memorize as much as I could from any page and then improvise.” He had a tricky time at school, as his parents and teachers assumed he was simply lazy, and he was 31 when he read his first book. Although he has struggled with dyslexia, Winkler says the condition has made him more empathetic and aware of the world around him, allowing him to help friends with social problems. “If you are able to communicate your feelings you can speak an international, very articulate language,” he told a dyslexia conference. Clearly, there are many dyslexic role models in public life who have achieved in diverse ways, inspiring future generations of dyslexic students. Dyslexia can enable people to think more creatively so that they solve problems in interesting and original ways. 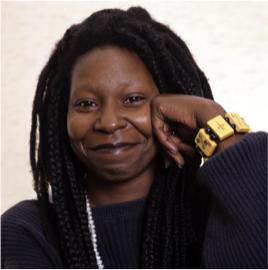 Nonetheless, Whoopi Goldberg argues that schools also need to play their part in recognising how every child learns differently, whilst also emphasising that supportive, encouraging parents are the best asset a child with dyslexia can have. There are now a range of support systems for dyslexic students and their families. GroOops, a North London-based counselling service, offers specialised emotional support for dyslexic adults and children. Their programme includes Cognitive Behavioural Therapy, Mindfulness and creative activities to boost their clients’ self-esteem. Equally, the global charity Made By Dyslexia works to help the public support dyslexia. However, dyslexia still remains widely misunderstood, so it is useful to explore what current research tells us about the condition. Below is an overview of the latest reports and research on neurodiversity. Produced by Made By Dyslexia, Connecting the Dots is a body of research exploring the advantages of being dyslexic. Dr Sally Shaywitz at the Yale Centre for Dyslexia and Creativity has described the “sea of strengths” that come with dyslexia, and this is echoed in Dr Manuel Casanova’s work studying neurobiological differences in dyslexic brains. Dr Casanova has found that the wide mini-columns (connected networks of neurons considered important for processing information) in dyslexic brains predispose dyslexics to excel in “big-picture thinking”, as “wide columns facilitate generalization” (the opposite is true for autistic people, who have narrow mini-columns, which facilitate focusing on small details). Made By Dyslexiahas also developed a dyslexic thinking skills test, based on qualitative and quantitative research. Their research has found that dyslexics have above average strengths in thinking skills such as Visualising, Imagining and Communicating, as well as excelling in general skills such as Reasoning, Connecting and Exploring. Despite these cognitive strengths, a 2017 YouGov poll revealed that only 3% of the public view dyslexia as a positive trait. Dyslexia is a “hidden difficulty”, which is why it remains poorly understood as a condition, so the charity works to improve public awareness. The report suggests that changes to the UK exams system may make it harder for dyslexic students to demonstrate their potential, which is why Made By Dyslexia is campaigning for change within the education system. Certainly, the increased focus on exams as the only measure of learning could leave dyslexic students at a disadvantage; previously, GCSE exams included coursework and verbal assessments, which allowed students to plan their work without the time constraints of an exam. The report states that dyslexic students “excel in the reasoning and exploring skills applied in coursework”, as well as having “excellent verbal reasoning and communicating skills”, yet the removal of these components from exams may prevent dyslexic students from fulfilling their true potential. Made By Dyslexia emphasises the importance of extra time in exams for dyslexic students – research at US universities has found this can have a significant impact on the grades and final outcomes of dyslexics. At the University of Oxford, Professor John Stein has found that the use of yellow and blue filters have a significant impact in helping dyslexic students read more fluently. Whilst other strategies can be expensive, the use of yellow-tinted glasses can “improve magnocellular function, leading to better visual motion sensitivity and eye control” which makes reading much easier for dyslexics. In a study of over 10,000 children with reading problems, conducted with the help of Dr Sue Fowler from the University of Reading, clinics found that the majority of children benefitted from using either blue or yellow filters, enabling them to make rapid progress in their reading. The filters can work to prevent the visual disturbances suffered by dyslexic students, as they have a lower sensitivity to image movements. Filters stop words seeming to blur or move around on the page, making the reading process far more manageable. Dr Anila D’Mello and Dr John Gabrieli of the University of Massachusetts have researched the cognitive neuroscience behind dyslexia. They found that reading is usually associated with the left hemisphere of the brain, which includes a network of language regions important for phonological processing and visual word recognition. D’Mello and Gabrieli found that for dyslexic adults and children, regions in the left hemisphere were consistently “underactivated” in reading tasks. D’Mello and Gabrieli conclude that the use of neuro-imaging could be beneficial in providing more individualised, differentiated instruction for dyslexic students. They cite a 2011 study of dyslexic children where none of the 17 conventional reading tests could accurately predict which children would make progress in their reading over the next 2 and a half years. Despite this, neuro-imaging predicted future progress with remarkable accuracy. They note that currently remedial education is only effective for approximately 50% of dyslexic children, yet “whether or not a form of instruction is effective […] is only known after a period of prolonged failure in the children who do not respond.” Neuro-imaging could be used to predict the likely effectiveness of different types of instruction for each child, allowing teachers to differentiate in more detail for individual students. One 2017 study by the Basque Centre on Cognition, Brain and Language (BCBL) found that there is a relationship between children’s auditory processing and the development of dyslexia. BCBL researchers found that children who had difficulties processing low-frequency sounds (such as accent, rhythm or intonation) were more likely to find decoding words and phonemes more difficult, which could be a risk factor for the development of dyslexia. They suggested that specific training on rhythm, such as playing on a drum, could help young children develop their skills in language perception. A further study by BCBL this year also found that the brain can be “trained” to avoid dyslexia through therapeutic interventions. Researcher Nicola Molinaro stated that repeated training could help dyslexic children to synchronize parts of the brain needed to process low-frequency sounds. This kind of research could be particularly helpful in identifying dyslexia at an early age, so that children with language delay may “recover the mechanisms of attention,” facilitating progress in literacy. The wide range of studies published on dyslexia can assist parents and teachers in providing the best support possible for dyslexic children. Developments in neuro-imaging could also allow teachers to differentiate for students in highly personalised and effective ways. Equally, the BCBL research on children’s auditory processing will help with the development of more specialist therapeutic training during early years education. The research also demonstrates that there are underlying neurological differences that cause dyslexia, and whilst this can make reading acquisition more challenging, it can also give dyslexics particular strengths, as shown by the Made By Dyslexia report. Chapter 6- What is it like to live with dyslexia? Francesca Fletcher-Williams, 29, is a PhD student in international law at the London School of Economics. Previously she worked as a Policy Advisor at the Mission of Ireland to the United Nations. Francesca was diagnosed with dyslexia at the age of 12. She spoke to Hampstead & Frognal Tutors about the impact dyslexia has had on her life and educational experiences. As an academically able child, there was a disparity between her written work and verbal abilities, a common trait of dyslexia. When she was tested for dyslexia, she had the spelling age of a nine-year-old, while her reading age was that of an 18-year-old – this difference was a key indicator that she was dyslexic. Francesca notes that dyslexia can manifest in various ways. For students who have more serious difficulties with reading, school is likely to be a very frustrating experience, whereas she largely enjoyed school. In Year 9, she transferred to a private all-girls’ school in London, and does not recall the school providing specific support, although she had extra time in exams. The exams did not allocate many marks for spelling, and she had a note on any test papers to ask markers to disregard SPAG (spelling and grammar), so she could achieve good marks based on her content and ideas. Whilst the more challenging content of university study can exacerbate problems with reading, Francesca notes that the personalised nature of university courses, especially at post-graduate level, can be helpful for dyslexic students in other ways. In her PhD course, she has found her supervisors to be incredibly supportive, and the smaller cohorts at post-graduate study allow for more individualised learning. Equally, Francesca has found dyslexia to be less of a barrier in the workplace than it was at school. “I used to write documents all the time, and I’d just say to the person I was sending it to, ‘If you see a spelling mistake, just flag it.’ I think the person who feels worst about my mistakes is me.” She is critical of the focus on spelling and grammar in primary and secondary education, something which may prevent dyslexic students from attempting to express more complex ideas. During her dyslexia test for university, the educational psychologist observed that her written vocabulary was weaker than her spoken vocabulary. She explains that “dyslexics often only use words they know how to spell in their writing, because we have this snobbery around spelling as a society. They will try to minimise the signs.” The psychologist pointed out that while she knew more sophisticated vocabulary, she was not writing it down. “Essentially, you’re dumbing down your own writing,” he said. Francesca uses a range of strategies to overcome her dyslexia, and she has found that dyslexic traits she did not notice as a child, for example visual disturbances, have become more pronounced as she gets older. Before beginning to use a coloured overlay to read, she did not even realise she had visual disturbances: “You don’t have a bar of comparison to know whether what you have is the norm or not.” She has only realised she was suffering from disturbances during the last year, and now uses “a pair of amazing coloured glasses,” adapted to how the dyslexic brain interacts with words on the page. Visual disturbances can also vary significantly from person to person, so getting tested early can help dyslexics access the right support. An example of how visual disturbances can appear to a dyslexic reader. As an undergraduate, her disabled student allowance (DSA) provided a computer with additional software, which assisted in correcting her work, although she notes that computers will not pick up on all grammatical errors. “Computers are incredibly useful in that they can spell things for you, but you can’t self-correct your own work because you won’t recognise there’s a mistake.” However, dictation software has dramatically improved since she began studying in 2007, and certain fonts have been developed that can make proof-reading easier for dyslexics. The font, Dyslexie font, designed by dyslexic graphic designer Christian Boer, was developed to avoid mirroring or swapping letters, which can exacerbate visual disturbances for dyslexic readers. “It’s frustrating that these things are not more widely available. Children can get glasses on the NHS, but not dyslexia glasses, so that puts dyslexic children at a disadvantage.” The cost of colorimetry assessments (which examine individual responses to text under controlled coloured light conditions), and coloured overlays, are not covered by the NHS. Francesca argues that the amount of support dyslexic students receive depends too much on family income. Her younger brother, for example, was academically able but struggled with reading at his state primary school. The school’s SENCO (Special Educational Needs Coordinator) said that his IQ was too high for him to have dyslexia (there is no relationship between dyslexia and IQ). His mother got him privately tested, and when he was diagnosed with dyslexia, the school refused to accept the test results. He subsequently transferred to a private school with specialist facilities for dyslexia. Francesca welcomes the change in attitudes towards dyslexia in the recent past, although the rigidity of the current education system may not enable dyslexic students to demonstrate their potential. She is sceptical about the move towards more standardised testing and exams at GCSE and A Level. The lack of coursework could also disadvantage girls, who tend to perform better in modular courses. She argues that even the post-graduate system needs to adjust, as funding often depends on gaining a first-class degree. Undergraduate courses predominantly assess students through exams, which may prevent dyslexic students from gaining the highest marks. Nonetheless, she welcomes the societal change in attitudes towards dyslexia, as the condition is increasingly viewed in a positive way. She points out that there are now many prominent famous dyslexics (see our section on ‘Famous Dyslexics’ for more details). Charities such as Made By Dyslexia are also doing some brilliant work to highlight the achievements of famous people with dyslexia, as well as how dyslexics can be especially gifted in ‘big-picture’ thinking. “It’s really good to celebrate the diversity of effects dyslexia can have, and not just the difficulties,” says Francesca. Whilst dyslexia undoubtedly presents challenges, her achievements in work and education demonstrate how the condition does not need to be a barrier to success.